As governments from twelve snow leopard range countries meet in Kathmandu this week to increase efforts to safeguard a future for snow leopards, Nepal has announced its ambitious new action plan to tackle snow leopard conservation for the next five years. The Snow Leopard Conservation Action Plan 2017-2021 sets the stage for Nepal to achieve its goal of ensuring that at least 100 snow leopards of breeding age populate each three of its landscapes by 2020. 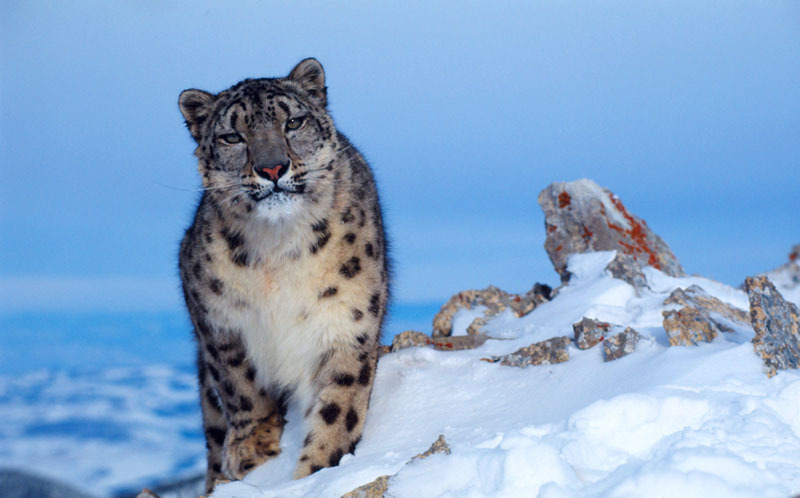 This commitment was made under the Global Snow Leopard and Ecosystem Protection Program (GSLEP), a combined effort of all twelve snow leopard range countries. The action plan will address the urgent need to continue research and monitoring using cutting-edge technology; improve habitat and corridors; mitigate conflict through community engagement; reduce wildlife crimes; and, strengthen trans-boundary coordination and cooperation. This all-encompassing new plan is estimated to cost $3.15 million. To date Nepal has achieved many milestones in conservation, including satellite telemetry of snow leopards, innovative livestock insurance schemes, and increased participation of communities in research and conservation. The updated action plan has been prepared by a technical team formed by the Department of National Parks and Wildlife Conservation, with consultations at local to national levels, and interviews with key government officials, partner organizations and individual experts. WWF Nepal provided financial and technical support for the effort. Earlier this week, the Government of Nepal also presented the status of its climate-integrated landscape management plan to secure snow leopard ecosystem in the Eastern Conservation Landscape*, discussing it with practitioners from the twelve snow leopard range countries. The landscape management plan is informed by geospatial, hydrological and climate models, and shows shifts in snow leopard habitats in various climate change scenarios. The GSLEP steering committee meeting and landscape management planning workshops hosted by Nepal are both geared towards preparation for a Global Snow Leopard Summit of the twelve range nations, to be hosted by Kyrgyzstan on September 7 and 8, 2017. *Development of the landscape management plan is supported by USAID, as part of the Conservation and Adaptation in Asia’s High Mountains project.